Hi my name is Brett and I'd like to tell you what our exciting Kuranda Tours and Packages are all about. 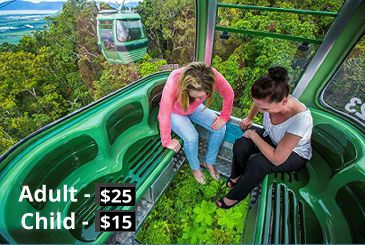 Our first stop is at the multi- award winning Skyrail Rainforest Cableway where you will enjoy a world heritage listed rainforest experience and take in some of the most spectacular views on earth. On arrival in Kuranda I'll be there to meet and show you around this, 'Village in the rainforest' famous for its colourful arts and crafts markets. 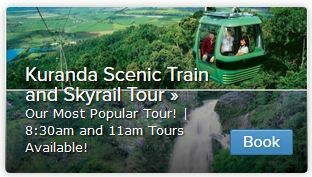 After approx 2 hours in Kuranda it's time for a trip on one of the most spectacular rail journeys in Australia, the Kuranda Scenic Train. Once we arrive at Freshwater station we head up the coast to stunning Palm Cove. I will show you along the palm fringed Esplanade before joining you for a sunset cocktail/wine/beer/soft drink (at own expense) overlooking the picturesque beach. Take a stroll amongst the shops and galleries, wander the beach and let the kids play on the playground! Returning to Port Douglas at dusk and the end of our afternoon together. 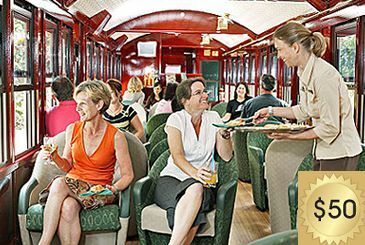 Our first stop is Freshwater station to take a journey aboard the historic Kuranda Scenic Railway, travel through the rainforest enjoying breathtaking scenery, waterfalls and tunnels. 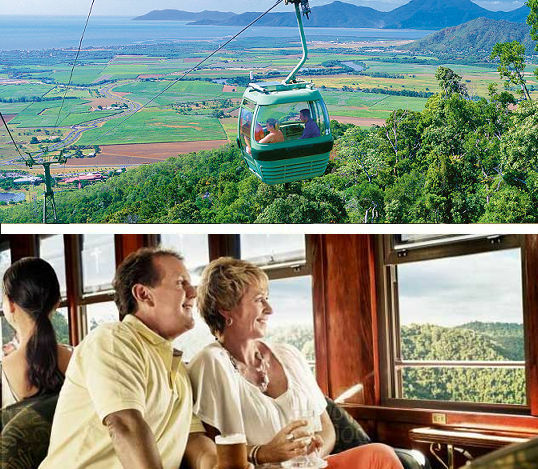 After approx 2 hours in Kuranda it's time for a trip on the multi- award winning Skyrail Rainforest Cableway where you will enjoy a world heritage listed rainforest experience and take in some of the most spectacular views on earth. We then head up the coast to stunning Palm Cove. I will show you along the palm fringed Esplanade before joining you for a milkshake, soft drink, coffee and cake (at own expense) overlooking the picturesque beach. Returning to Port Douglas 4.30pm and the end of our day together. Kuranda Scenic Train they can ride down the range in the bus with me. Airport transfers and relocations to Cairns are also available - conditions apply. Limited mobility and disabled friendly. This video is a compilation of our 3 tours. Each tour has a separate itinerary. For details on the other two tours please use the links below.